Homeowners need affordable options for building walk-in showers. After all, most of us don’t have extra cash laying around…although that would be awesome! We recently installed the KBRS ShowerSlope and were super impressed. It’s a fully customizable system that anyone can install. Today is Part 1 of 3 and we’ll show you how to choose the correct ShowerSlope system. 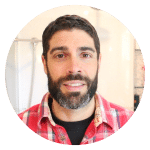 I’m pumped for this tutorial because it’s will open your eyes to what’s possible when building custom showers. Many homeowners get confused when choosing a shower system. They either don’t know what’s out there or don’t know what size system to buy. Plus, not every shower system has everything required to build a shower. The KBRS ShowerSlope solves this problem – as does our video!! The first step is to determine the size of your shower then choose the corresponding kit. ShowerSlope pans are pre-sloped – meaning homeowners or contractors simply adhere them to the drain and subfloor. ShowerSlope pans can be installed over wood or concrete subfloors…more on that in Part 2 where we show you how to build this system. Also, any backer board can be used with ShowerSlope kits, e.g. cement board, GoBoard, Wedi, etc. ShowerSlope kits are available over on Bathroom Repair Tutor. 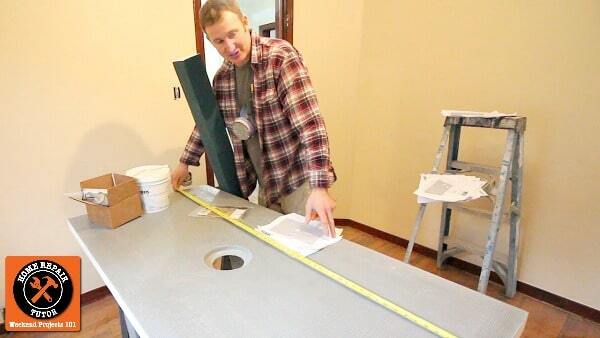 Watch our next tutorial that shows how to install a KBRS ShowerSlope – we share how to install the drain, pan, curb, niche, and cement board. Wow, part one. So I can cut down the KBRS curb from 4 inches. I need the room on the width. Can’t wait for part 2, and 3. Thanks Eric, and yes that’s no problem to cut down 4 inches. Just be sure it’s no more than 3 inches on one side. We’ll have Parts 2 and 3 very soon. Do they offer these kits in a neo angle corner shower layout? Great question, we only offer the standard kits. But if you want a neo angle we could help with a custom order.